Project description: The goal of this project was to create a design for Google's booth at the 2017 CHI expo in Denver, Colorado. 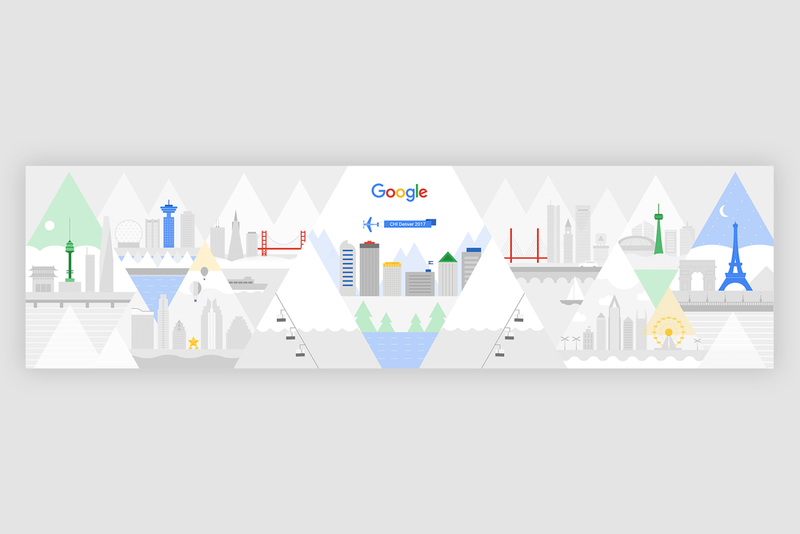 My role was to create a design for the display that reflected the Google brand and illustration style. My design is based on both the 2017 CHI theme of "mountains" and CHI's history/the locations where the conference has been held over the last 10 years (Seoul, Vancouver, Austin, San Jose, Denver, Boston, Toronto, Atlanta, and Paris).